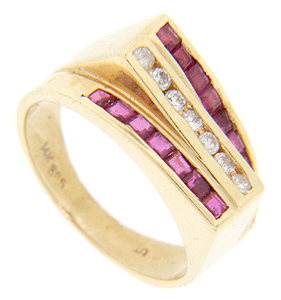 Gleaming channel set round diamonds form a line across the center of this 14K yellow gold estate ring. 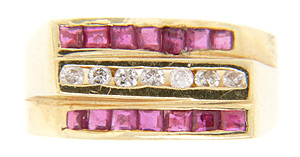 Angling rows of square red rubies flank either side of the diamonds. 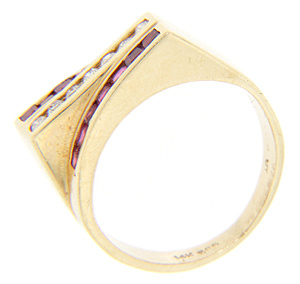 The ring measures 8.4mm in width. Circa: 1960. Size: 4 1/4. We can resize.